Possible Screwup in San Franscisco Lawsuit? It looks like the lawsuit by NRA and SAF against the City of San Francisco may fall flat on its face due to failure to tie a City Ordinance banning guns from public property to the lease agreement promulgated by the housing authority, which is apparently a federal entity. Ordinarily, you win some and you lose some, which is why you proceed on multiple fronts, but this is a big enough screw up that the City of San Francisco might be able to seek to have their legal costs recovered. These are not mistakes we can afford to make in the immediate post-Heller legal climate. Hopefully this isn’t as bad as these articles seem to make it out to be. Don Kates is one of the lead attorneys on this case, and he’s experienced at these kinds of suits, so it’s kind of hard to believe he’d make a mistake like this. UPDATE: In the comments Chuck Michel says: “I assure you there is no screw up here” That’s good to hear. If both the SF and IL cases are mooted, the only other case in the pipeline that’s good for incorporation is a California one, and it’s really good on several levels. But I am not certain the Bradys et al have it on their radar, so the less said the better at this point. Too fast on the return key! Sebastian, if you could fix my punctuation typo (“dont'”) I’d appreciate it. I assure you there is no screw up here. When Mayor Newsom announced the passage of the municipal code section that bans guns on county property, he said he intended to enforce it in the public housing projects managed by the SF Housing Authority (SFHA). SFHA apparently thought it was obligated to enforce it. And SFHA put a provision in thier lease that banned gun possession by public housing residents in their own homes. The day after Heller was decided, the NRA coalition sued to use the ban, whether a SF ordinance, a SFHA lease contract provision, or both, to force the 2A incorporation issue before the courts. The City of San Franciscoo itself NOW admits it has no jurisdiction over public housing. This is legally correct, but contrary to the City’s original intentions as expressed at Newsom’s press conference, in what we got from SFHA in response to a public records act request before teh lawsuit was filed, and in an internal memo from SFHA that declares their original intention to apply the SF Muni Code in SF public housing because they thought they had to. The City has now signed a stipulation to this effect, so we can drop them from the lawsuit and just pursue SFHA to eliminate the gun ban lease provision, which exists currently whether the muni code section applies in public housing or not. Meanwhile SFHA, which is NOT a federal entity, may concede the lease issue and repeal it, in part because they now realize they DONT have to follow the SF muni code and so may not be inclined to spend the money to defend the lease provision. Up until now, the Complaint has not even been officially served on SF or the SFHA. SF cant seek sanctions when they weren’t served, and couldn’t anyway because we have documents showing that SFHA thought the muni code applied to them — most likely because Newsom falsely told them it did. You need bad faith to get sanctions. And even if you might be able to get them, the party seeking sanctions has to give the opponent an opportunity to fix the situation — which we already have, via the stipulation SF signed. Although the ban on guns in public housing residences will be invalidated one way or another by this lawsuit, the SF muni code banning guns on public property (designed primarily to ban gun shows on county fairgrounds and to push the Cow Palace gun ban bill in Sacramento) will still be in place after this lawsuit no matter what happens from here on. But it doesn’t ban guns in any residences. It may subject to further legal challenge down the line on 2A grounds. A preemption suit on that kind of ordinance already was tried and failed in the Nordyke and Great Western Gun Shows cases. This BS all stems from Herrera’s BS press release wherein he tried to sow dissention among the ranks. Dont let him succeed here. Thanks for your efforts on behalf of the RKBA! 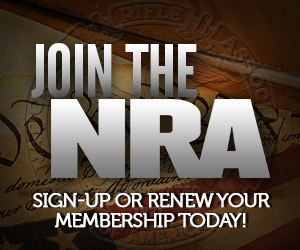 Chuck Michel – representing NRA and other plaintiffs in the lawsuit. Thanks Chuck… I will elevate this to everyone sees it. No really thanks for the work you do.